This is my second “Year of the Horse” Chinese New Year in China, and there’s one thing I’ve noticed: a certain chengyu (Chinese idiom, typically 4 characters long) gets thrown around like crazy in Chinese New Year’s greetings. There are a few interesting things about this chengyu, and some points worth exploring. Like many learners, you may not want to junk up your brain space with too many useless chengyu. So is this one worth it? Well, it sure gets liberally tossed around at the beginning of the Year of the Horse, that’s for sure. But aside from that, it’s not a terribly uncommon chengyu. I’ve learned it without trying just by living through one Year of the Horse CNY, and you probably can too, if you live in China or if you’re tuned into Chinese media for the holiday. Tons of repetition of this chengyu. It’s all high-frequency vocabulary, so that’s great. What does it really mean, though? “Horse arrives, success!” Something is missing. Is there some mystical luck-horse that runs around providing success to all it encounters? Not exactly. But it’s not. 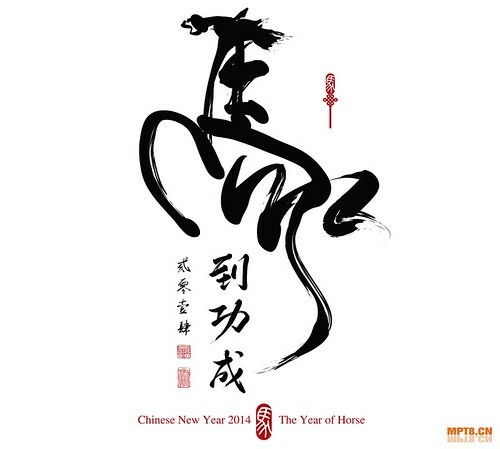 At Chinese New Year, the chengyu is used in New Year’s wishes to others. If you were wishing people “马上成功” it sounds like they’ve already started something, and you want them to succeed immediately (like really soon!). Wishing them 马到成功 is wishing a speedy success to whatever endeavor someone undertakes. That makes a lot more sense. 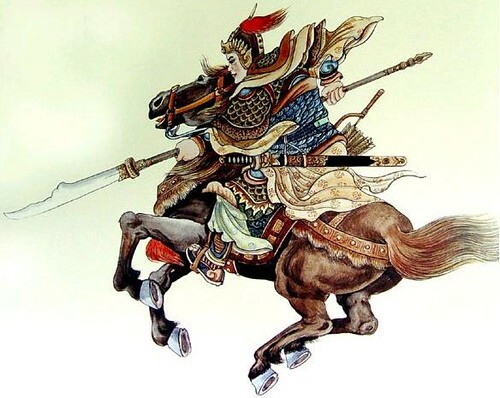 This isn’t to say that Chinese people have images of cavalry slaughtering their enemies as they wish their friends 马到成功. In fact, most Chinese people probably aren’t aware of the origin of the saying. If you Baidu image search it, you see a whole bunch of images of horses frolicking around, not an enemy soldier in sight. Even though the 马到成功 literally means “swift success,” you can also use it by itself to wish someone success in the New Year. You don’t need to add 祝你 in the front for “I wish you” (even though it’s not wrong to say that). And with that, I wish everybody a 马到成功 in their Chinese studies! Chengyu (成语) are the (usually) four-character idioms that any intermediate learner of Chinese knows about. By the time you get to the intermediate level of Chinese, you’ve heard lots about how many of them there are, and how richly imbued with Chinese culture they are, and how they’re wonderful little stories packed into four short characters. Oh, and there are literally thousands of them, so you better start memorizing. But wait… why?? Why do intermediate learners of Chinese need to start memorizing chengyu so early when, as far as they can tell, they’re relatively rare in daily life? Is it more important to learn a list of four-character idioms than to get better at ordering food in Chinese? Or to talk about basic economics? Or to discuss modern social issues? Or even to finally get a decent grasp of the ever-elusive particle 了? Those tasks all involve the use of relatively high frequency vocabulary and require no chengyu. So why the chengyu urgency? 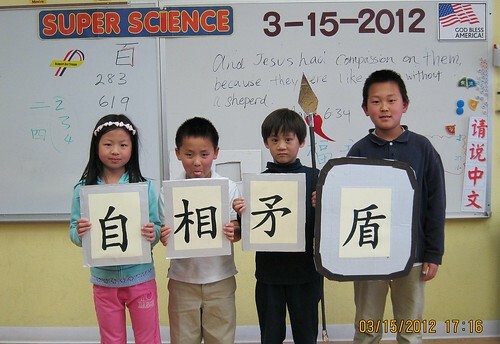 Many students of Chinese are told by their Chinese teachers that chengyu are important. They take this advice to heart and dutifully start learning. They may enjoy the stories behind them, or they may not, but these students inevitably realize that they hardly ever come across these chengyu they’re learning in actual conversation or even readings. The fact is that teaching Chinese to foreigners on any large scale is a relatively new thing, and as such, some kinks are still being worked out. Early efforts at teaching foreigners involved a lot of transference of educational methods used on Chinese children. Memorization of Tang dynasty poems, writing out each new character hundreds of times, and memorizing lists of chengyu long before they’re actually useful are time-honored traditions when it comes to teaching Chinese kids their native language. That doesn’t mean these methods are effective for non-Chinese adults learning Chinese, especially when basic communication is the goal. Despite their questionable usefulness, chengyu get a lot of attention. From an English-speaking perspective, so much fuss over chengyu seems a little strange. Maybe it would help to draw some analogies to English. Some chengyu are relatively straightforward to understand, and the meaning can be guessed. These are sort of like many English idioms. Think “raining cats and dogs” or “a dime a dozen” or “barking up the wrong tree.” They’re interesting to language nerds, and kind of make sense. They can be fun, but they’re no substitute for basic vocabulary. Fortunately, they’re also pretty easy to understand once your Chinese is at a low advanced level. In short, this second type especially, when overused, comes across as a bit pretentious. This connection of chengyu to an elite education is no small part of the appeal, either to native speakers or to learners of Chinese as a foreign language. In Chinese, chengyu are generally considered individual words. This may seem a little strange, and the definition of a Chinese “word” is a bit amorphous to begin with, but bear with me here. Chengyu sometimes serve as mini sentences, sometimes work as verbs or adjectives, but essentially function like four-character words. Sure, they often have a rich history and pack quite a semantic punch in a small package, but they’re still essentially words. Since they’re words, it’s easily to apply standard linguistic analysis to them. Corpus analysis can tell us how common any given chengyu is, what types of texts it’s likely to appear in, whether it’s a high-frequency word, etc. And the thing is, chengyu are not high-frequency words, especially when taken individually. Some are definitely higher frequency than others, but compared with ordinary words, they’re essentially all low-frequency. Now obviously I’m not trying to say that low-frequency words are worthless or not worth learning. But why should low-frequency words be prioritized over medium-frequency words simply because they’ve got the chengyu label? When you start focusing on chengyu as an intermediate learner, that’s exactly what you’re doing. As an intermediate learner, there’s still a ton of good useful medium-frequency words to get familiar with. Why should chengyu get preferential treatment? When you need the word for “ambulance” or “stock market” or “allergy,” having memorized a few dozen chengyu (that you’ve probably never used) are little consolation. So learners, don’t avoid chengyu, but don’t learn chengyu just because they’re chengyu. Don’t give chengyu special treatment when you could be improving your ability to communicate in Chinese. Just think of chengyu as the low frequency words they are, and when you start to encounter them naturally, learn them. When the time comes, you’ll recognize their usefulness in context and will see them more than once. As an intermediate learner, you’ll occasionally come across high-frequency chengyu (I have my own chengyu top ten), but certainly not by the boatload. If you really love chengyu, then I’m sure my advice won’t shake your passion. And learning a few can certainly be interesting. Thanks to @saporedicina for motivating me to finally put this post up. See also Olle of Hacking Chinese’s post (we definitely see eye to eye): Learning the right chengyu the right way.